Bart's Office Moving specializes in all aspects of commercial and office moving, including furniture repair and installation. Moving your furniture is only the start of what our specialists are capable of doing. We can increase the efficiency of your office move by assembling, installing, placing, and repairing your office furniture. Our team has moved clients in every major industry, from small offices to large offices. So, we're experienced in handling repair and installation of a variety of office pieces. Whether your office furniture was damaged during a move or is broken from years of every day use, Bart's can help to restore your office furniture so that it looks more professional and functions properly again. 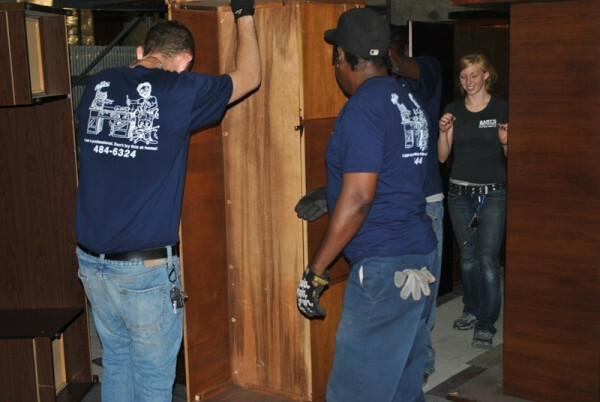 With a team located in New Orleans, we're able to quickly and efficiently repair your furniture. Our team of office furniture repair specialists is very familiar with repairing a variety of furniture pieces, from desks, lock cabinets, chairs, tables, and more. Before you purchase a replacement piece of furniture, contact Bart's and have one of our specialists give you a free quote for repairing your furniture! Moving your office furniture is only the beginning. The Bart's Office Moving team is highly skilled at office furniture installation, which includes assembly and placement of your office fixtures. By allowing our team to professionally install your office furniture in your New Orleans office, you can save time and be sure your office furniture is properly assembled. Furniture installation is just one of the ways our team ensures a seamless move, from start to finish. You'll be able to move your team back into your office space quickly, which is ideal.